To elevate this hotel to Best Western’s highest tier hotel – Best Western Premier – Lenity Architecture partnered with Wholesale Commercial Interiors (WCI) to update all the interior details. The interior design elements will vastly transform the lobby and breakfast area, taking the current old-world aesthetic and giving it a modern twist. Over the years and through numerous projects, a highly collaborative partnership has developed between WCI and Lenity. This relationship translates into inspired and integrated designs. 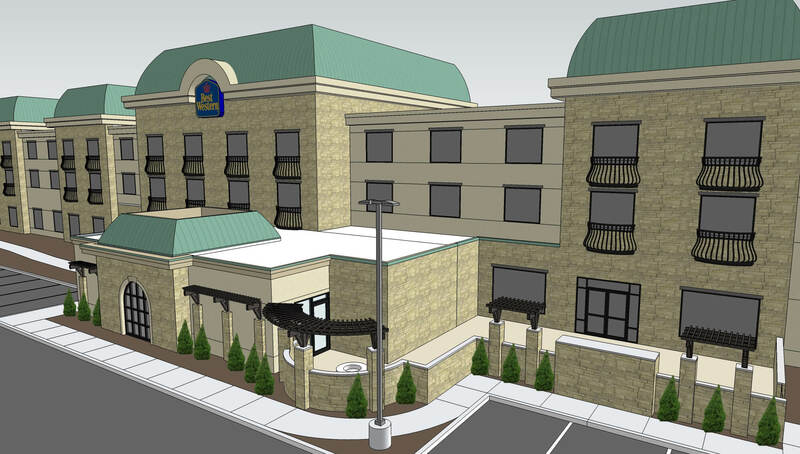 To offer a fine dining experience choice for its guests, a new 1,530 square-foot restaurant and dining area will be added. With the addition to the building, Lenity is taking great care to match the new construction exterior details to the original to provide a seamless update. The project is currently under construction and is scheduled to be completed this summer.